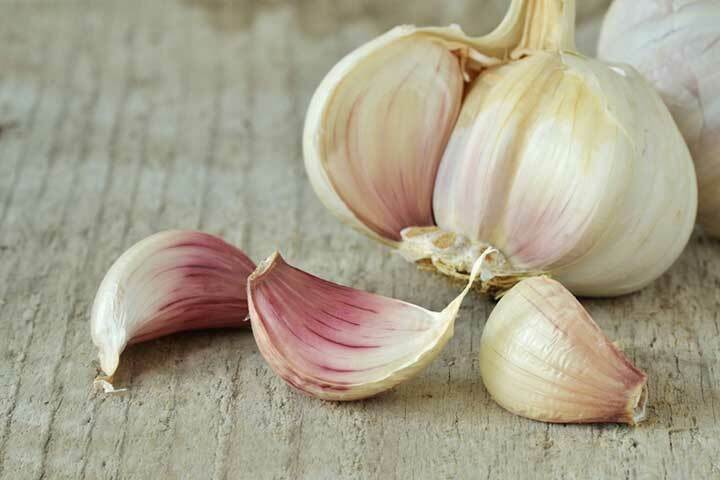 Give your health a boost by adding more garlic to your diet. Garlic contains a tiny treasure called allicin, and it’s responsible for garlic’s numerous health benefits. Find out how you can take advantage of garlic’s natural goodness. Allicin is a sulfur-based medicinal compound, so make the most of it, but be sure to keep breath mints close by! If garlic isn’t a staple in your kitchen, you might consider making it one: Scientists are uncovering more layers of fascinating medicinal benefits related to this potent member of the onion (Alliaceae) family. With biblical references and a history that dates back to Ancient Egypt and the infamous Greek physician Hippocrates (460-370 BC), garlic has been used to treat all sorts of medical conditions, including those that affect the gastrointestinal tract, heart, liver, respiratory system and skin—to name a few. Historically, garlic was widely used as herbal medicine in the Middle East, East Asia, South Asia and Europe. Garlic’s active ingredient is called allicin—one of the most powerful antioxidants found in food. Modern research has shown that in addition to being a major antioxidant, allicin offers anti-microbial and anti-bacterial effects—far surpassing the effectiveness of some antibiotics. 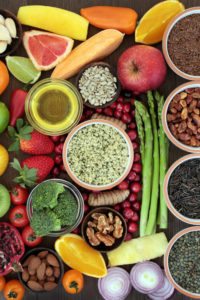 It can also help treat cholesterol (lower LDL, or “bad cholesterol” and triglycerides, and increase HDL, or “good cholesterol”), blood coagulation, hypertension and certain cancers. How does allicin work? Researchers in Canada discovered that when the allicin compound decomposes, it generates a potent antioxidant—antioxidants help to eliminate free radicals that can cause cellular damage and disease. Although consuming a lot of garlic can lead to some stinky side effects (such as bad breath and body odor), the pros of consumption in moderation far outweigh the cons. Allicin is a sulfur-based medicinal compound, so make the most of it, but be sure to keep breath mints close by. Dress it up: Add flavor to your favorite oils by transferring them into colorful, wide-rimmed jars and then add a generous amount of fresh garlic cloves. Use your jarred garlic-infused oils to cook with, as the base of your favorite salad dressing, or to dress in-season vegetables, breads, and pastas. They also make a lovely gift. Mince it up: Freshly minced garlic goes well with classic dishes. Make a simple, crusty garlic bread with grass-fed butter, and add minced garlic to melted butter and pour over your bread. Use it in your favorite pesto or marinara sauce. Add it to sautés, salsa, soups, and stews. A little goes a long, garlicky way. Mash it up: Make savory side dishes and dips by using roasted garlic in mashed potatoes (try sweet potatoes), hummus, and guacamole. Ferment it: Did you know you can make garlic even better for you? Fermenting garlic makes its nutrients more accessible to your body during the digestion process. It also adds an abundance of probiotics to your diet, which in turn provides added support to your gastrointestinal tract and immune system. Sprout it: Researchers have found that when garlic is sprouted for five days, it offers greater antioxidant activity and different substances compared to what is found in younger garlic bulbs. Although sprouted garlic is safe to eat, the sprouts themselves are bitter, so it’s best to avoid eating them; simply pinch them out of the clove. Sprouting garlic can be a fun and easy project in the kitchen, especially with children. Steep it: Tame the inflammation of your sore throat and melt away mounds of mucus by making a DIY garlic cough syrup remedy. Steep fresh raw, minced garlic in hot water. Strain after five to six minutes and enjoy the result as a warm tea. Add raw ginger and raw honey for extra flavor and health benefits. 1. Pour water in a large bowl. Stir salt into the water until dissolved to make a brine. This will happen over time anyway. 2. Put the garlic cloves and herbs (optional) into a quart-sized jar (fill 75% of the jar with cloves) and cover with your brine. 3. Keep your garlic away from air exposure by using an airlock or gasket jar or other method. Have your jar sit and ferment at room temperature for four to six weeks out of direct sunlight. Be sure to keep the cloves under the brine—that is key. If the level of brine reduces, add more to your jar. Simply melt butter in small sauce pan and add garlic, salt, pepper, basil. Stir until combined and enjoy over garlic bread or added to sauces, roasted vegetables and mashed potatoes. add, allicin, antibiotics, antioxidant, antioxidant activity, antioxidants, bad cholesterol, blood pressure, blood pressure symptoms, cancers, children, cholesterol, dates, diet, digestion, fermenting, fight high blood pressure, food, free radicals, garlic, gastrointestinal, ginger, good cholesterol, halitosis, hdl, health, herbal medicine, high blood pressure, high blood pressure symptoms, honey, hypertension, immune system, inflammation, ldl, lower ldl, medical conditions, mucus, nutrients, organic, potatoes, probiotics, recipe, side effects, skin, sore throat, Triglycerides, vegetables.